Home Shamong News Ready for some ‘egg’cellent fun? Ready for some ‘egg’cellent fun? Get your baskets ready! Egg hunts abound in coming weeks, and The Sun has the details. Check out the list below to see which event fits your schedule. 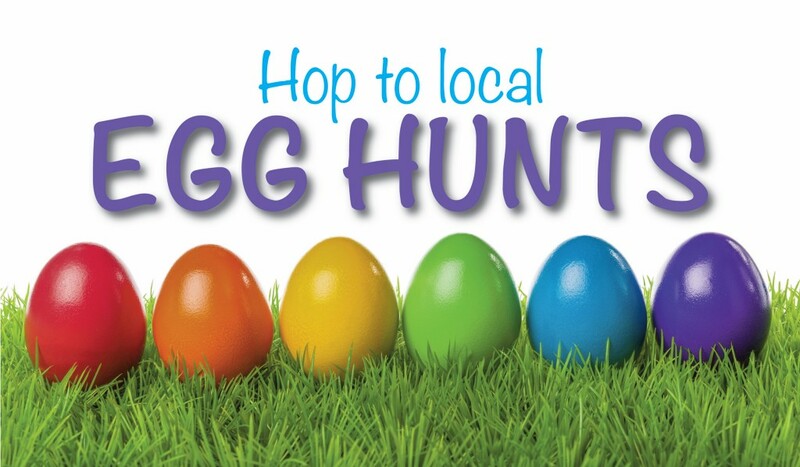 • The Voorhees Breakfast Rotary Club sponsors its 13th annualVoorheesSpring Egg Hunt on Saturday, April 1, at Lions Lake Park, 101 Dutchtown Road. The fun begins at 10:30 a.m. for children ages 1 through fifth grade. Prizes will be awarded to all age groups. Don’t forget to bring a basket, and adults may want to bring a camera for a special appearance by the Easter Bunny. There will also be face painting, games and a DJ. Learn more atwww.voorheesbreakfastrotary.org. • Timber Creek Regional High School’s National Honor Society and the Black Horse Pike Education Association will sponsor a Breakfast with the Easter Bunny on Saturday, April 1, from 9 to 10:30 a.m. in the high school library, 501 Jarvis Road, Sicklerville. The breakfast of sandwiches and drinks is free, and attendees will have the opportunity to purchase pictures with the Easter Bunny, stuffed animals and spring plants. There will also be an Easter egg hunt and other activities. For more information, contact Mr. Sokolic at (856) 232–9703 or jsokolic@bhprsd.org. • Gloucester Township will host its free Easter Bunny Brunch from 10 a.m. to noon on Saturday, April 1, at the Recreation Center, 1261 Chews Landing Road, Laurel Springs. Attendees will enjoy bagels, donuts, refreshments, fun and games. Bring a camera to take a photo with the Easter Bunny. All are asked to bring a canned good to donate to the local food bank. Children must be accompanied by an adult. For more information, visit www.glotwp.com. • Winslow Township will host an Easter Egg Hunt at 10 a.m. on Saturday, April 1. Children through age 10 are welcome to join in the fun at Ptlm. Daniel Calabrese Memorial Park, First and North Central avenues. Children should bring a basket. The hunt will be broken into age categories — ages 1 to 3, ages 4 to 5, ages 6 to 7, and ages 8 to 10. For more information, contact the Winslow Township Municipal Clerk’s Office at (609) 567–0700, ext. 8002, or www.winslowtownship.com. Rain date is April 8. • Head over to PAWS Discovery Farm in Mt. Laurel for all-day egg hunts on Saturday and Sunday, April 8 and 9, from 10 a.m. to 6 p.m. The hunts, with eggs replenished throughout the day, are included with admission, which is $10 per person, $9 for grandparents and free for children younger than 12 months. For Mt. Laurel residents, admission is $6. There will be a separate hunting section for younger children. PAWS Discovery Farm is located at 1105 Hainesport-Mt. Laurel Road. Learn more atwww.pawsdiscoveryfarm.com or www.facebook.com/paws.farm. • Central Baptist Church in Palmyra will be holding its annual Easter egg hunt on Saturday, April 8 at 10 a.m. This event is for ages 2–12 years and is BYOB — Bring Your Own Basket. The hunt will be rain or shine, as it will take place inside, and refreshments will be available afterward. For questions, contact Jen Allen at (856) 829–1907 or jenlallen18@gmail.com. • In Cinnaminson, the Covenant Presbyterian Church at 2618 New Albany Road will host an egg hunt and bunny lunch at 11 a.m. on Saturday, April 8. The cost is $5 per person, with free admission for children age 2 and younger. The event is BYOB — Bring Your Own Basket! Learn more atwww.covenantpreschurch.org. 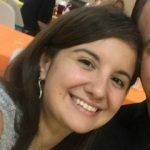 • Hosted by the Peak Center for Autism, an Autism-friendly egg hunt and bunny photos is planned at Burlington Township High School’s football field from 9:30 to 11 a.m. on Saturday, April 8. Activities will include creating spring sensory bottles, pinning cotton tails on the bunny, playing in a bird’s nest and more. The egg hunt will commence at 10:30 a.m. Don’t forget to bring a basket! BTHS is located at 610 Fountain Ave. Learn more at www.peakcenteraba.com or by calling Tatiana at (609) 614–7495. • A long-standing tradition will continue on Saturday, April 8, when the Medford-Vincentown Rotary Club and Shawnee High School Interact Club host the community Easter Egg Hunt at 11 a.m. at Freedom Park inMedford, Old Marlton Pike and Jones Road. Children in preschool through fourth grade will explore the park in search of colorful eggs with prizes inside. The Easter Bunny will also be at this free event, and children are asked to bring their own bag or basket. The rain date is April 15. • Kingsway Church in Cherry Hill will host its annual Egg Hunt at 10 a.m. on Saturday, April 15, at Cherry Hill High School West’s football field, 2101 Chapel Ave. Learn more at www.kingswaychurch.tv. • The Haddonfield Y Men’s Club will host its annual Easter Egg Hunt on Saturday, April 15, at Crows Woods, 319 Merion Drive. The hunt will begin at 10 a.m. sharp. Children — equipped with baskets brought from home — will gather eggs filled with prizes. • The Lenola Fire Company will be sponsoring its 78th Annual Egg Hunt on Saturday, April 15, with a prompt 9 a.m. start. The event will take place at the Jeff Young Memorial Park, 101 N. Lenola Road, Moorestown. Learn more by calling Jamie Boren at (856) 234–6660. • Another egg hunt is set for Moorestown Lutheran Crossings on Saturday, April 15, from 10 a.m. to noon. There will be crafts, face painting, bunny pictures, a children’s book sale, refreshments and more. The egg hunt is free. Register online at www.lutherancrossings.org or call (856) 813–5808. • After an Easter Sunday Celebration Service at 9:15 a.m. on Easter Sunday, April 16, Crossroads Church of Shamong will host an egg hunt for children featuring hundreds of candy-filled eggs. The church is located at 445 Oakshade Road. Learn more at www.crossroadschurchnj.com.